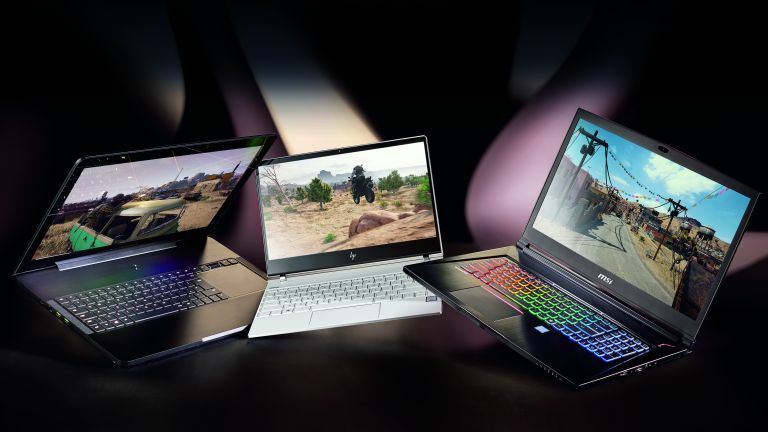 Best 4K laptops: which of these portable powerhouse systems is right for you? A gamer’s dream 4K machine, filled with the highest-end components and taken to the absolute extreme of mobile performance. Distinctly thin, incredibly light, and surprisingly powerful, HP’s latest revision of its Spectre laptop goes 4K with style. 4K gaming and performance muscle in a slightly more affordable – but no less luxurious – package. Time to start seeing things differently. The rise of 4K screen tech has been impossible to miss, but it’s too good to leave in the corner of the lounge. Transplanted into the smaller screen size of laptop panels, 4K means a whole new visual experience. But it’s taken its time turning up. 4K laptops aren’t yet the norm, so if you’re looking for resolution today, look towards the high end. This isn’t a case of 4K screens being scarce. Indeed, factory upgrades mean 4K panels of all shapes and sizes are now abundant. The sluggish take-up of 4K in laptops is more of a power issue: driving a 4K screen properly needs strong processing power. You might expect to run games at full resolution, and end up sorely disappointed when your shiny new laptop can’t keep up with the pace – and 4K means a very real hit to battery life. And, realistically, 4K’s visual upgrades can be hard to discern, and add a slight price premium. When it comes to laptops for the masses, Full HD will often do. Before we tackle the big boys, let’s single out the little gem: the incredibly slight Spectre is a design and engineering marvel. Retaining the super-slimline form of earlier iterations, it’s about the same size as an A4 magazine, both in thickness and in edge-to-edge dimensions. It’s flat and clean, making a statement not with bright bling, but by being calm, cool, focused and really small. The Spectre’s screen hinges up over a bump at the rear, revealing a keyboard that, despite the base being only slightly thicker than the screen itself, has a decent amount of travel and a comfortable feel. There are certainly compromises here – notably the fact that you’ll need a dongle to expand beyond the Spectre’s three on-board USB-C ports – but we’re inclined to forgive them. The Razer Blade Pro is very different. It’s massive, incorporating a 17-inch panel, and forgoes slender electronics in favour of big, aggressive components and the cooling they require – truly the other side of the premium coin. Not that it’s immensely thick, though. Everything’s packed into a 22mm aluminium shell that weighs in at a shoulder-wrenching 3.54kg. Th e extra width afforded by that screen means the Blade Pro’s trackpad has been moved, unusually, to the right edge of the keyboard to make it gamer-friendly (for right-handers, at least), and everything’s infused with Razer’s Chroma RGB lighting. The keyboard has its own distinct flair, using low-profile mechanical switches for a tactile, noisy click that feels very desktop. MSI’s GS73VR isn’t unreasonable in its specifications, but it’s no performance slouch despite sporting a slimmer profile than the Blade Pro. Made of cool brushed aluminium alloy, it’s a lot lighter than its 17-inch rival, coming in at 2.4kg, although its design is arguably less appealing, and aluminium’s lightness has a trade-off in terms of strength. Th e deep-travel SteelSeries-made keyboard, feels great, although we could do without the every-letter-looks-identical gamer font. Just about the most luxurious laptop package you’re likely to find, awkward ports and all. We’re not sure how so much was packed into such little space. As you might expect given their 4K specs, it’s fair to say that none of these machines disappoints in the visual department. Th e Spectre, with its smaller screen, naturally has the greater pixel density, although 4K crushed down to ultraportable laptop size means you’re going to need to press your face pretty close to any of these panels to discern the existence of a pixel. HP’s screen also impresses with its response times – if anything, they’re slightly better than Razer’s efforts. MSI’s panel – the only one here that’s not touch-sensitive – is a little disappointing in terms of colour consistency at different viewing angles, although it’s still bright and rich, with a highly appealing colour range. Th e Blade Pro, calibrated and configured for gaming, has extremely wide viewing angles, awesome blacks, and a range that appeals while never becoming overblown. Although the Spectre is not made for gaming – and that’s not something you should really attempt with it, given its integrated graphics and moderate RAM – it’s a firecracker of a performer, packing the latest low-voltage Core i7 CPU. MSI’s effort is a tremendous performer in its own right, capable of grinding out VR with its GTX 1060 graphics solution, and carrying enough extraneous RAM, storage and gaming gimmickry to carry you forward for a good couple of years. In the end, though, there could only be one winner of this test. Th e Blade Pro 4K is an astonishing machine, which goes some way to explaining its astonishing price. It’s the term ‘dream machine’ made silicon flesh, a no-holds-barred exploration of what’s possible in portable hardware. Everything has been turned up to 11, from the best-in-class GeForce GTX 1080 graphics card and the use of 32GB dual-channel memory to the THX-certified screen and sound combo. A massive, beautiful 4K screen backed by massive, beautiful performance components in an excessive, exciting, and plain awesome package. We’ve enjoyed having all three of these machines for an extended period, and loved them all for their own reasons. But here’s the bad news: nothing here has particularly fantastic battery life. Under our desktop tests, we found the Spectre the most disappointing. Presumably its compact case doesn’t leave a lot of room for battery cells, leaving it to top out around 2 hours 15 minutes despite running a more subtle component combination and smaller screen. The Razer Blade Pro, probably by virtue of a battery that makes up much of its weight, somehow manages 30 minutes longer on a much higher spec – far more than we’d expect from a desktop replacement. MSI’s paltry hour and a half is much closer to the mark. It’s also worth pointing out the noise issue. The Blade Pro is meant primarily as a desktop replacement, so it’s a little embarrassing to use away from the desk, due to its cacophonous cooling solution. There’s good reason for this – desktop-class components tend to get rather hot when taxed – but it’s louder than we’d like. The GS73VR, similarly, fires out a fair blast of air when even slightly troubled, spitting it out of a front-mounted vent. Both 17-inch models are unwieldy; neither feels at home on a lap. But they never stumble, and each offers far more in terms of options, and a much more expansive screen, than the dinky Spectre. The question, really, is what your day-today routine looks like. If you’re moving around and meeting, or even just crashing on the sofa, the Spectre does more than enough. It’s hyper-portable, it’s slick and quick, and it really makes an impression. If you’re more tethered to a desk and getting your game on, the Blade Pro is a serious machine at a serious price – one that we’d rarely even consider moving. It may rip out a step more VR or 4K gaming performance than the GS73VR, but that extra kilo (and the fact that you could buy both the MSI and HP machines for the same price as the Razer) makes a difference. No, the battery life isn’t up to much. But it’s not far from the Spectre, lighter than the Blade, and the power and screen size means MSI’s monster is ready for anything. We’re impressed: There’s so much power in here it’s absurd. If you want a performer, this is a machine that’ll see you through the next three years – a true desktop replacement. It’s all packed into a handsome, comfortable case, with an absolutely beautiful screen and a next-level keyboard. We’d improve: The price of having all this power at your disposal is steep. The Blade Pro is one for true PC connoisseurs willing to invest in having the absolute best kit around – in a couple of tech generations, this sort of combo will cost a lot less. The final word: It’s certainly indulgent and a tad impractical – but there’s no better laptop around today, 4K or not. Apple iMac Pro review: is this really the pro-level beast Mac users have been waiting for?